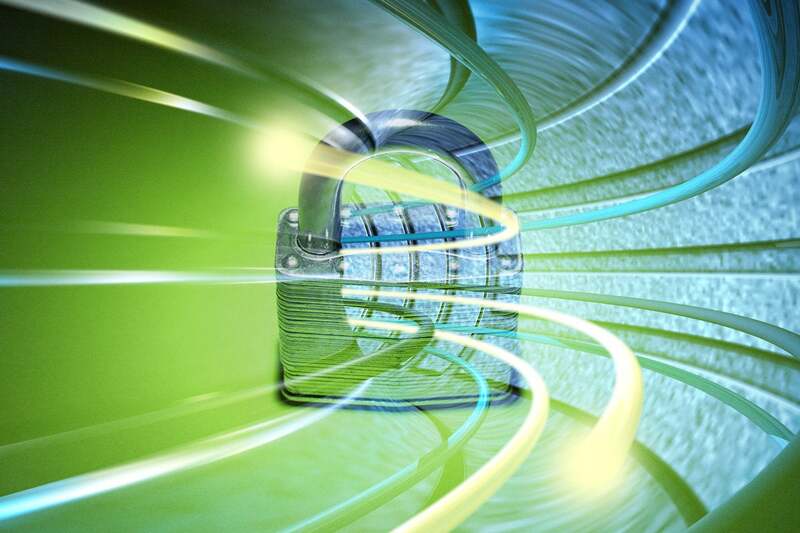 It won't wow you with its speeds, but the price is right, the privacy promises are good, and the simultaneous connection limit is solid. 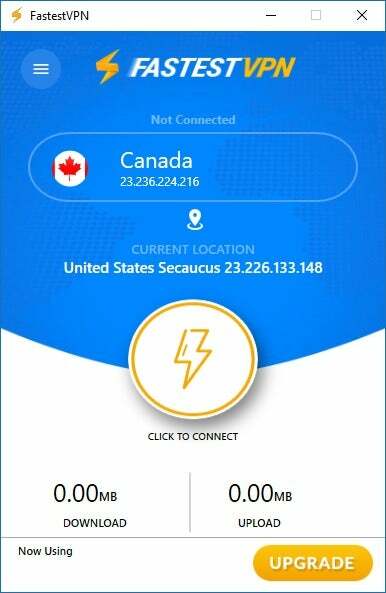 When you start up the FastestVPN application it has a typical single-pane design with a bit of a Shazam feel thanks to the big yellow lightning bolt in the middle of the connect button. The top of the window shows the current location you’re connected to (or can connect to), and the bottom of the window shows your bandwidth usage in MB for both upload and download. Click the hamburger menu icon in the upper-left corner, and you can choose the Locations screen to select from the service’s 23 countries and multiple U.S. options. The Settings panel (also under the hamburger menu) doesn’t have much in terms of options. 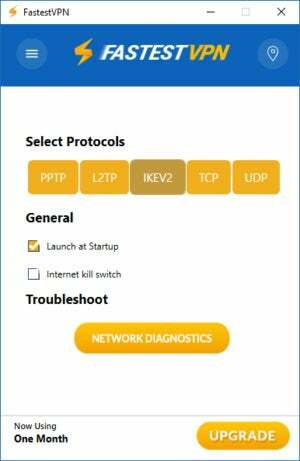 There’s an internet kill switch, which is off by default, and you can also choose your preferred VPN protocol: PPTP, L2TP, IKEv2, or OpenVPN via TCP or UDP. If you do mess with these settings either IKEv2 or the OpenVPN options are your best choices. That’s all there is to the FastestVPN app, though the company has also built malware protection and ad blocking into the service. The app is pretty good, but one thing I don’t like about it is how it behaves on the taskbar. When the app is open it sits on the taskbar with no presence in the system tray. Then when you close the app window it minimizes to the system tray. So far so good, but what is unusual is that I couldn’t open the app up again by clicking on the system tray icon. Right-click the system tray icon and you have two options: Connect/Disconnect and Exit. The latter worked just fine, but I could never use the Connect/Disconnect option, and if I wanted to see the app again I had to quit and restart it. Not great. FastestVPN charges $30 per year, or you can buy three years for $40, and until late February the company is offering five years of service for $50. One year for $30 is an amazing price and that covers 10 simultaneous connections instead of the usual five. FastestVPN offers apps for Windows, macOS, iOS, Android, and Fire Stick. There are also tutorials for setting up on Linux, routers, and the Kodi VPN. This story, "FastestVPN review: It's not, but that's okay" was originally published by PCWorld.